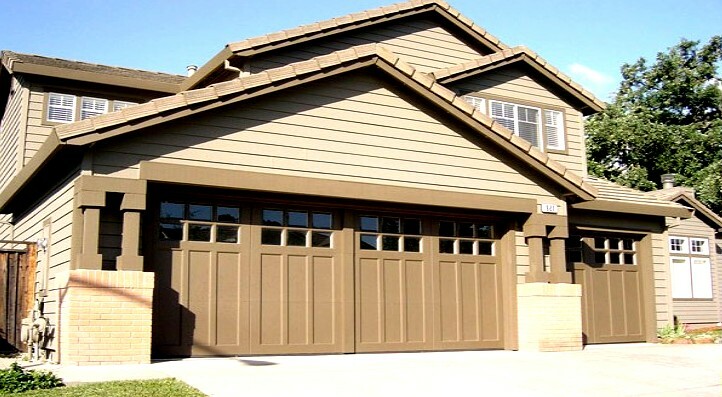 Our custom wooden paint grade garage door from our Carriage House Door collection. With distinctive period styles, Carriage House Door collection combines old-world design with state-of-the-art technology to replicate beautiful, period-style doors that compliment both new construction and tasteful retrofit. The result? A beautiful custom door that provides a dramatic finishing touch for your home. Each overhead garage door in our custom Carriage House collection offers the timeless beauty, authenticity, and quality of a carriage door constructed a century ago, yet functions using the latest modern technology. 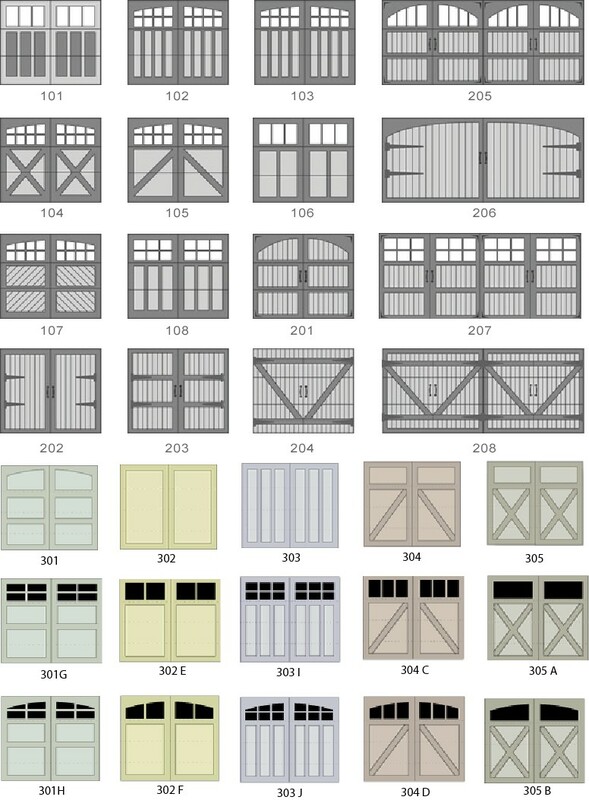 The Carriage House Doors collection will bring an added dimension of beauty and value to your home. Some of Door design and window options. 3/8 or 5/8 inch medium density overlay plywood (for paint grade doors only). Stain Grade: 5/8 inch clear western red cedar (standard), bonded to the facing with exterior adhesive and galvanized pin nails. Other options include redwood, fir, or other specified select woods. Windows: 1/8 inch DSB (standard) stopped and sealed in place. Many other types of windows are available as well. Arched Top: Available in a standard or custom radius. Please provide template with custom arch. Designs: Choose from our designs or provide a detailed drawing of your own door.